Thank you to all who supported Mise En SIN the exhibition! The online Best Poster Voting Contest is still on and your 2 WEEKS LEFT to vote in order to win prizes. The closing date is 15 April! 1. 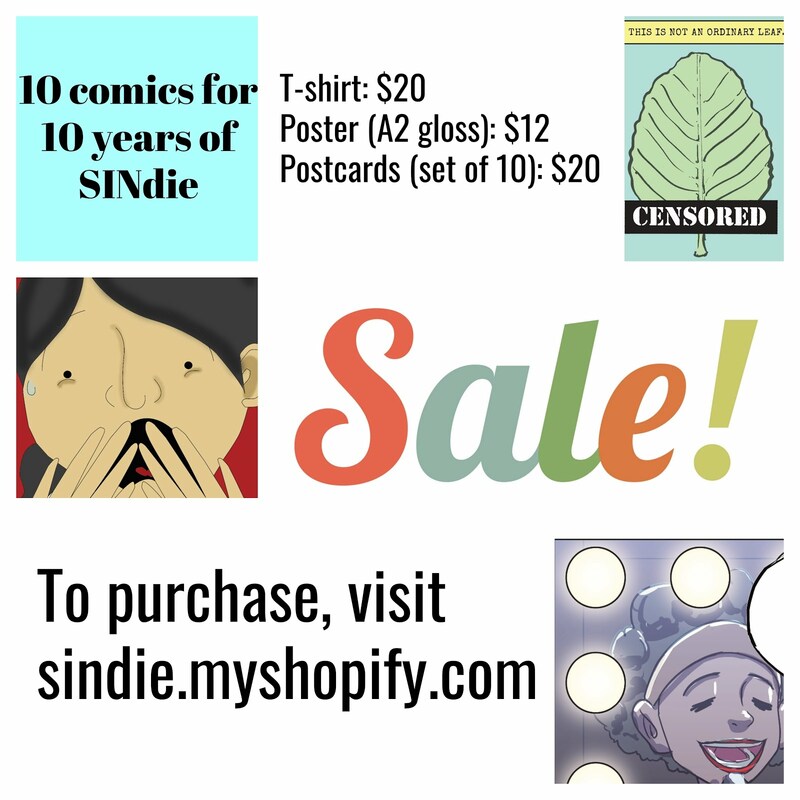 Go to SINdie's Facebook page via this link. 2. 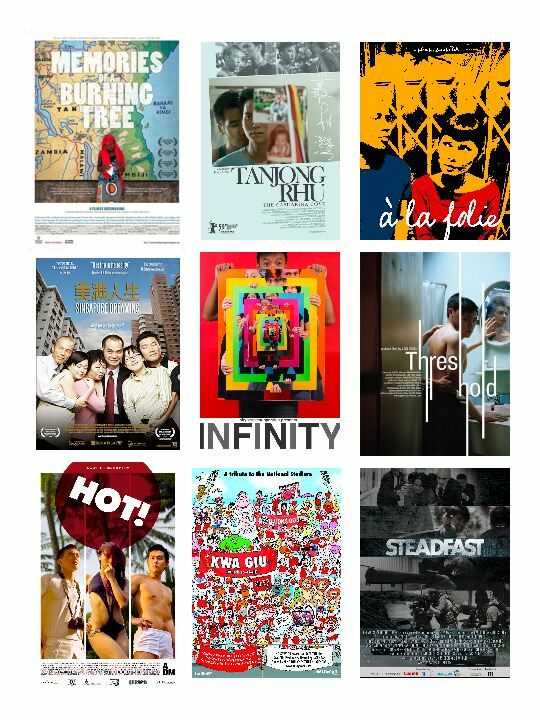 Click on any of the images to go to our Flickr.com account where you can find all the film posters. 3. Browse through the entries and click on "Favorite" to vote. Here are what you stand to WIN! The winners will be randomly selected from anyone who voted. Almost Famous looks at the stories of 16 characters who thrive in a parallel world they inhabit. Ladyboys or “kathoeys” occupy a precarious position in the Thai social landscape. While alienated as outcasts, they are an important feature in the package of images making up “Amazing Thailand”. Follow the social phenomenon of the country’s ubiquitous transgendered population through the triumphs and tragedies of 3 Thai ladyboys. India’s educated middle-classes, schooled in the language of visual storytelling through a lifetime of exposure to film are picking up cameras to shoot their own stories. Find out how women, armed with cameras are finding their voice and with documentaries, finding a platform for their voices to be heard in India. The documentary has become for them, a means to declare, “I exist”. Not content with merely reading manga, fans are taking it a step further by dressing up as characters and imitating their trademark mannerisms. Yet, as Cosplay has become a global phenomenon, Japanese cosplayers are frowned upon in their own country, for choosing to be different in a society that values conformity. Are these sub-cultures slowly creating a new image of Japan? The subject is love, not the heartwarming, quixotic, groovy kind of love but one that is draggy, agonizing and messy. Indeed the unflattering, painful and downright awkward do not faze the brave married men and women interviewed in the film. They talk to one another and to the camera about their struggles and disappointments in the relationship, with great openness and vulnerability. Helping these couples build a life together is Consultant Chen, matchmaker extraordinaire and exceptional crusader of the human heart. She works her brand of magic with tireless passion, old-school wisdom and solid straight talk. Some documentary filmmakers keep their distance but director Wuna Wu shares her own painful past as transparently as she tells the stories of others. This is the story of two brothers. 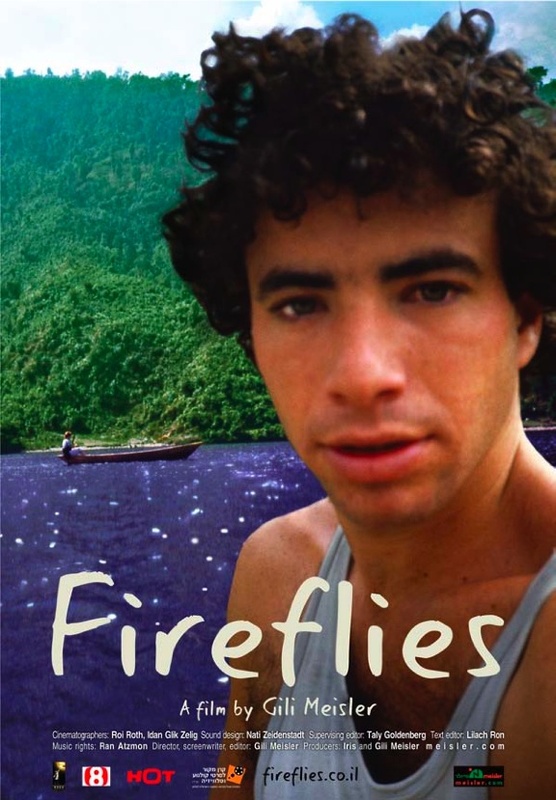 Giora, the most talked about MIA of the Yom Kippur war, and Gili, who has been searching for him and for himself ever since. In 1973, on the first night of the Yom Kippur war, Giora Meisler, a tank driver in the Sinai peninsula, went missing under mysterious circumstances after his tank was hit by Egyptian forces. Fireflies is a film about three journeys. It is the story of a 12 year old boy, a 24 year old man and a 44 year old adult in search of answers. This is also the story of Giora, who will forever remain 19. 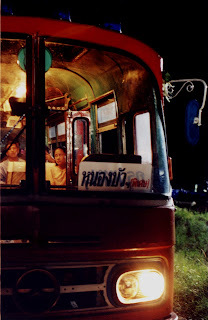 “I-San Special” is a bus that travels from Bangkok to Nong Bua, a very small town in Northeastern Thailand (I-San). On this bus, a group of up-country and native I-San is returning to their hometown via the normal bus route. However, in this “Special Bus” the routine route under a full moon night is anything but usual. The travelers become the focus of a story worthy of the surreal world of Thai Soap Opera. Their scripted drama unfolds as the bus travels east interrupted only the reality of gas station stop and other usual roadside diversions. At first glance, the film will look as if it is divided into two parts: the soap style acting on the bus, and the documentary-style story telling of the bus passengers off the bus. However, as the film goes on, we will see that these two sections are not really parallel. There are many links between these two worlds: the world of a harsh reality and the world of a surreal soap. Four strangers find themselves stranded in Singapore two days before Christmas. This is a story of how they find companionship over a plate of carrot cake and a conversation. Kate, a failed American actress, is in transit in Singapore for one night, on her way to New Zealand to set up her dream café. Kate meets Daniel, a dishevelled businessman who recently caught his wife cheating on him, Matthew, a rich property mogul who finds himself at the crossroads of his life, and Ruth, a prostitute who longs to be Singapore’s first blues singer. Is it possible that a conversation can change everything? Perhaps sometimes in life, all we have to do is talk. 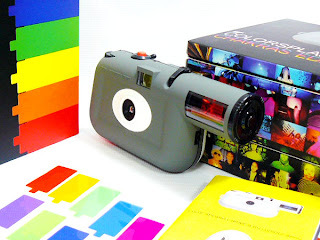 This sleek Lomographic camera (see below) will re-cast your world with a gorgeous riot of color. Its patented colorwheel system puts several tinted flash filters at your finger tips for instant selection; with an additional 9 filters included to exchange. Just select your color, put it in front of your flash, and fire a burst of colored light at your subject! Long exposure capability creates dreamy streaked backgrounds behind crisp, color-flashed foregrounds. 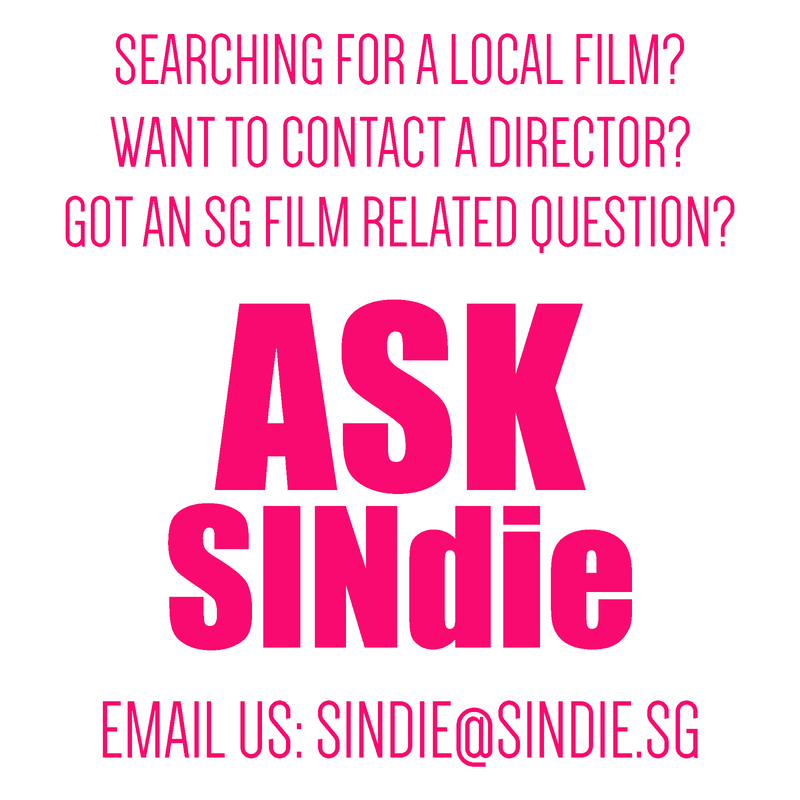 So to all filmmakers, get your friends to vote for you today! Finally, we would like to thank Objectifs Films for partially sponsoring the wonderful prizes!